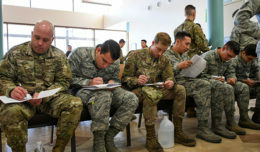 WASHINGTON — The Defense Department has met the interoperability requirements for electronic health records as called for in the National Defense Authorization Act of 2014, according to DoD officials. DoD and Veterans Affairs have two goals in integrating patients’ records and making the information accessible by both agencies, said Chris Miller, the program executive officer for Defense Healthcare Management Systems. Those goals, he said, are to create a seamless health record, and modernize the software that clinicians and analysts in both agencies use. By seeing a patient’s combined record, doctors will have a complete picture of the patient’s medical treatment, he said. This will allow the clinicians to make the best choices for the patient. It saves doctors and analysts from having to sort through stacks of copies of files, Miller said, adding that patients will no longer have to provide hard copies of their records, which could be hundreds of pages long. There are multiple electronic health record systems within DoD, he said. The first steps in building the integrated system included making sure officials knew where all the data was, and agreeing to common terms using national standards. The web-based, integrated system, called the Joint Legacy Viewer, or JLV, is secure, Miller said. A user needs government credentials to log in, and the system keeps track of who accessed a person’s record. 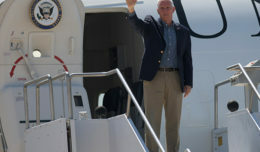 The JLV can be viewed by DoD and VA personnel. Benefit analysts use the information for disability evaluations. “That’s an important concept because that really gets at what is important, which is really having access to the information,” Miller noted. 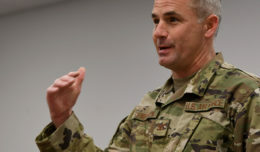 Interoperability is a “steadfast commitment on our behalf,” he said. “What we really want to be able to show is the progress we’ve made and demonstrate our commitment to making sure that we’re providing tools that are useful for our providers but also making things better for our service-member veterans and their families,” Miller said. There is a lot of information and data, he said. The JLV integrates information from 300 data sources. “We’ve done a lot to get this information to a point where it’s both shared and it’s usable, but we recognize that we’re going to continue to have to do more things to actually continue to make it as useful as possible,” Miller said. JLV is still in a testing phase, he said. “This data does a lot to help people and it also does a lot to improve how our clinical providers do their job,” Miller said. During the media roundtable, Dr. Brian Jones, the Defense Health Agency user integration branch chief, demonstrated using the JLV. “The data the JLV is exposing is actually all the way from when somebody enters the military, all the way through deployment, and also follows them to the VA,” he said. In a letter dated Nov. 16, Frank Kendall, undersecretary of defense for acquisition, technology and logistics, said that DoD and VA have partnered closely to meet the 2014 NDAA requirements. DoD has mapped all 21 domains requiring national standard terminologies, representing nearly 1.8 million unique clinical terms, Kendall said in the letter to U.S. Representative Harold Rogers, the chairman of the House Appropriations Committee. The NDAA required all data in DoD’s Armed Forces Health Longitudinal Technology Application outpatient system be shared in compliance with existing national standards. Kendall said the DoD exceeded NDAA requirements by integrating data from other DoD systems, including inpatient, theater and pharmacy.